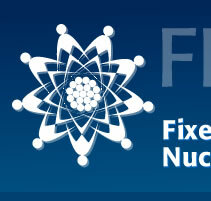 INPRO has developed requirements to be met by the new innovative nuclear reactors. It has also developed a methodology described in TECDOC-1434 to evaluate such reactors. 1. 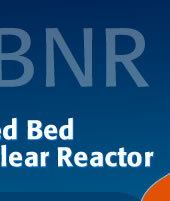 Economics : The FBNR is compared to an advanced Pressurized Water Reactor (PWR). Its components are much simpler in design and consequently much more economic. 2. Safety : It is an inherently safe reactor, where its safety is governed by the law of gravity. It is a passively cooled reactor where its fuel in the fuel chamber is cooled by natural convection. It has a passive control system. 3. Environment : It is an environmental friendly reactor with underground containment building, that can be constructed in or near population area, in a garden type environment. 4. Waste management : Its spent fuel is in such a convenient shape and form that can be used directly as the source of radiation for the applications in industry, agriculture and even in medicine. Therefore, its spent fuel may not be considered as waste since it serves a useful purpose. 5. Proliferation resistance : It is a fool proof nuclear reactor against proliferation. Its fuel is in the core only when it is operating ; otherwise, the fuel is in the sealed fuel chamber that is under surveillance of the IAEA. 6. Infrastructure : The reactor and its fuel are fabricated by WONEC that operates under the auspices of the IAEA.